These reviewed resources include booklists galore! Find books for a specific theme or to coax even the most reluctant readers. Find inspiration for literature circles. Don't miss "In the classroom" ideas for ways to share the lists or inspire students to create some of their own. Find books about Natural Disasters in this leveled book list from CurriConnects. Natural disasters are a fascination for many students, but they can offer a new angle on many science and social studies topics, as well as current events. These books provide experience with both nonfiction informational texts and fiction that requires students to draw inferences about the "facts." CurriConnects thematic book lists include ISBN numbers for ordering or searching, interest grade levels, ESL levels and Lexiles'''''® to match student independent reading levels to challenge, not frustrate. For more on text complexity and Lexiles'''''®, see this information from the Lexile Framework. Don't miss other CurriConnects themes being added regularly. If your library does not have the books, try interlibrary loan! This collection of books could accompany a unit on earth science, weather, or even communities and government as your students look at how disasters affect people and how individuals or governments respond to adversity. These books would also connect well to a character education or guidance unit about dealing with a crisis. You could even include this list with a geography unit about differences in weather, climate, and landforms around the world. Talk about WHY natural disasters happen and/or the results afterward: How did communities change? What did people do in response? If having students read independently, you may want to pose a big question or two related to your curriculum for them to think about as they read. Have them return and share their answers after reading, perhaps as a presentation or small group project. Parents (or any interested adults) can support young readers with this guide to reading instruction, Children's books, and Reading. Find support in many areas of reading such as book lists, early literacy ideas, ways to improve reading, spelling instruction ideas, and reading interactives. Don't worry, there is also material here to help children who are already reading - to increase fluency, comprehension, and more! Book lists include; audio books, read alouds, picture books, wordless picture books, classic books, books to hook reluctant readers, as well as recommended books. Subscribe to the newsletter to stay in touch with the latest ideas. Although this site is definitely text-heavy, it does offer a lot of information to both parents and teachers working with emergent readers. This site is a great site to share with parents on your class website. Start a PTO meeting featuring literacy using ideas from this site. At a literacy night, show this site on your projector (or interactive whiteboard) to feature the interactives. Add the games to your literacy stations. Share at conferences to answer the parent questions of, "How do I help at home?" Looking for more audio books? Find a huge collection of audio books here to try some of the strategies suggestion by this site. Don't forget your earbuds! This CurriConnects collection of books shares tales of childhood in many cultures and countries. Find books that help you realize that what is "typical" for the kids at your school may seem odd to those who grew up somewhere else. Discover what was typical for our grandparents is not the same as what is typical today. This collection includes tales of growing up in many circumstances, books to make you stop and wonder what "typical childhood" means. CurriConnects thematic book lists include ISBN numbers for ordering or searching, interest grade levels, ESL levels and Lexiles'® (where available) to match student independent reading levels to challenge, not frustrate. For more on text complexity and Lexiles'®, see this information from the Lexile Framework. Don't miss other CurriConnects themes being added regularly. If your library does not have the books, try interlibrary loan! Include these books for independent reading during a unit on world cultures, in a guidance class about differences, or in a reading unit about drawing inferences. Spark discussions about what we assume is "normal" and what we should realize about our own upbringing. The conversations will easily evolve into projects where students can compare and contrast or create "profiles" of childhood in different places and cultures. Find books featuring real world applications of Newton's Laws. Scientists, inventors, racecar drivers, and athletes all apply the laws of motion to move quickly, defy gravity, or streamline their movements. You won't have to force students to read when there are so many choices! Most of the books on this CurriConnects list are at elementary and middle school interest levels, but some selections for more able readers are included. CurriConnects thematic book lists include ISBN numbers for ordering or searching, interest grade levels, ESL levels and Lexiles'® (where available) to match student independent reading levels to challenge, not frustrate. For more on text complexity and Lexiles'®, see this information from the Lexile Framework. Don't miss other CurriConnects themes being added regularly. If your library does not have the books, try interlibrary loan! Incorporate these books as student independent reading during units on forces, motions, gravity, physical movement (P.E. or dance), and more. Go beyond the textbook by encouraging students to choose a book that makes connections. These selections are ideal informational texts to use for science literacy, as well. Encourage students to share what they learn by creating annotated images of the science behind the book they read. Or create a collection of annotated "motion" images as a class. Try using a tool like Thinglink, reviewed here, or Stipple, reviewed here. Brace yourself for the weather in these books about storm phenomena, weather disasters, climate change, and weather's causes and effects. These non-fiction selections offer possible informational texts to practice Common Core science literacy skills and experience with "close reading." The interest levels for this list are predominantly elementary and middle school but include selections for more able readers. CurriConnects thematic book lists include ISBN numbers for ordering or searching, interest grade levels, ESL levels and Lexiles''''''''''''''® to match student independent reading levels to challenge, not frustrate. For more on text complexity and Lexiles''''''''''''®, see this information from the Lexile Framework. Don't miss other CurriConnects themes being added regularly. If your library does not have the books, try interlibrary loan! Encourage students to select from this list for independent reading to support your unit on disasters, weather, or the Earth's atmosphere. Share it with your school library/media specialist or public library, as well, for them to "pull" books in support of your science units. Extend the experience by having students create visual presentations of the concepts they learn. If you're a novice to using technology in your classroom, or you have young students, you may want to use a tool such as Fotor, reviewed here. For more experienced technology users try an online simple web page using WebNode, reviewed here, or a brochure, newsletter or poster using Sway, reviewed here. You could also look for a different tool for creation and sharing from this TeachersFirst Edge list of reviewed presentation tools . Explore the human experience of civilian life during wartime, through the eyes of those who lived it. Learn what life was like for ordinary people during wartime, specifically major 20th century conflicts. This booklist includes offerings about two World Wars, Korea, and Vietnam, along with smaller conflicts/crises. Discover both nonfiction and historic fiction about every day life and the impact of war on what people do, think, eat, plan, say, and more. Find books for all grade levels. CurriConnects thematic book lists include ISBN numbers for ordering or searching, interest grade levels, ESL levels and Lexiles'''''® (where available) to match student independent reading levels to challenge, not frustrate. For more on text complexity and Lexiles'''''®, see this information from the Lexile Framework. Don't miss other CurriConnects themes being added regularly. If your library does not have the books, try interlibrary loan! Add a layer of human reality to the "facts" students study about wars that to them seem "long ago and far way." Go beyond the textbook by encouraging students to choose a book to make connections. Encourage them to share what they learn through writings, fictitious blog posts, or creative presentations using tools from the TeachersFirst Edge. The Cuban Missile Crisis offers a great resource for learning and teaching about the 1962 missile crisis. Explore the site to find many primary documents, an excellent timeline, and lessons. The Educators section of the site includes many tools such as lesson plans, reading lists, and videos. If your district blocks YouTube, then the videos may not be viewable. You could always view the videos at home and bring them to class "on a stick" to share. Use a tool such as Tube Offline, reviewed here, to download the videos from YouTube. Bookmark this site (or save it in your favorites). Use the resources for any unit that includes the Cuban Missile Crisis, presidents, or John F. Kennedy. Watch videos on your interactive whiteboard or projector. Share a link on your class website for students to view at home. Have students use Fakebook, reviewed here, to create a "fake" page similar in style to Facebook about any of the characters involved with the crisis. Use an online tool such as Interactive Two Circle Venn Diagram, reviewed here, to compare the point of view of the U.S. vs Cuba or to compare outcomes based on possible decisions made during the crisis. All history can seem "ancient" unless you connect to it personally. Understand the American colonies and American Revolution by choosing a book to help you connect with the times. This list includes fiction and nonfiction books about life in the American colonies and during the American Revolution as well as books about leaders and major locations of this historic period. CurriConnects thematic book lists include ISBN numbers for ordering or searching, interest grade levels, ESL levels and Lexiles''''® to match student independent reading levels to challenge, not frustrate. For more on text complexity and Lexiles'''®, see this information from the Lexile Framework. Don't miss other CurriConnects themes being added regularly. If your library does not have the books, try interlibrary loan! Make history more real during your unit on Colonial America and/or the Revolution. Have students choose a book from this list and present their impressions from it in the form of a blog post from the times. If you are beginning the process of integrating technology, have students create blogs sharing their learning and understanding using Loose Leaves, reviewed here. This blog creator requires no registration. Collect the links to all the student posts on your class web page for students to browse and gather a "human" experience of history. The New Bedford Whaling Museum focuses on the impact of the whaling industry and specifically the interaction between whaling and the port of New Bedford, Massachusetts. Of interest to those studying one of the 18th and 19th century's leading industries, the museum also offers insight into the material culture of New England, the life and habitat of whales, and the craft of ship building. The site offers a closer look at a number of current and past special exhibits, as well as a searchable database of artifacts in the current collection. Don't miss the special reading lists and other resources. Find books about how our U.S. government works and how to take part in that process. These books include topics such as what it means to be a citizen, how our government works, and the tough decisions that people make -- both citizens and those who work in government. Discover civics-related topics such as voting, creating laws, enforcing laws, and the underlying principles of democracy. The collection includes both true and fictional tales about communities and government and books for all grade levels. CurriConnects thematic book lists include ISBN numbers for ordering or searching, interest grade levels, ESL levels and Lexiles''® to match student independent reading levels to challenge, not frustrate. For more on text complexity and Lexiles''®, see this information from the Lexile Framework. Don't miss other CurriConnects themes being added regularly. If your library does not have the books, try interlibrary loan! Encourage students to select independent reading from this list as part of a citizenship unit, as a focus for Constitution Day, or in a civics/government class. Color in my Piano is a piano teacher's blog for exchanging and finding resources. "Start Here" gives an overview of the most popular articles, teaching tips, and resources offered. Explore the large printables portion of the site to view and download worksheets, games, lesson plans, sheet music, and more. Search through an extensive reading list of articles and resources for teachers, parents, and students. Don't miss Wednesday's Words of Wisdom, featuring inspirational quotes for all. If piano music interests you, this site is a must-see! Note: some of the materials mentioned are for sale, but there is plenty for free. Take advantage of the free lesson plans and worksheets for music classroom use. Search the Reading Lists for articles to share with students. Share (and discuss) Wednesday's Words of Wisdom. Use this site to differentiate for music students of all levels. Enjoy books of photographs and about photography in conjunction for student independent reading in conjunction with art classes or in science as you learn about light and the spectrum. This list includes nonfiction about light and how it works. The interest levels are predominantly elementary and middle school but include selections for more able readers. CurriConnects thematic book lists include ISBN numbers for ordering or searching, interest grade levels, ESL levels and Lexiles'® to match student independent reading levels to challenge, not frustrate. For more on text complexity and Lexiles'®, see this information from the Lexile Framework. Don't miss other CurriConnects themes being added regularly. If your library does not have the books, try interlibrary loan! Have students choose a book they can connect to your light unit in science, to art projects, or simply a book of interest. Extend the experience by having them collect their own photographs as examples of the concepts they learn. Transform and share projects using one of these reviewed presentation tools from the TeachersFirst Edge. Some tool suggestions are (click on the tool name to access the review): Slidebot, Animatron, Rooclick, and Gravit Designer. The non-fiction selections offer possible informational texts to practice Common Core science literacy skills. This CurriConnects booklist features poetry books, biographies of poets, and poets' books about writing to make poetry more approachable and enjoyable for readers of all interests. This list is a perfect companion to formal units about poetry or simply for anyone who would like to learn more about poets and how they write. CurriConnects thematic book lists include ISBN numbers for ordering or searching, interest grade levels, ESL levels and Lexiles'® (where available) to match with student independent reading levels to challenge, not frustrate. Be aware Lexile levels are based on prose (sentence length, words per sentence, etc. ), and cannot be calculated for poetry, so Lexile levels are not available for poetry books. Don't miss other CurriConnects themes being added regularly. This list will fit well during National Poetry Month or any unit on poetry. Finding Lexiles for poetry can be a challenge, but this list includes them where available. Augment or modify classroom technology use (depending on assignment requirements) by having your students "collect" their favorite poems as they read from this list and share them as a multimedia poetry reading using copyright-friendly images or even their own artwork. Upload images and add the poetry in the student's own voice using a tool like Powtoon, reviewed here, or moovly, reviewed here. Go "low tech" by hosting a live poetry reading celebration in your classroom or during lunch in the school cafeteria. Journey back 65 million years to discover and learn all about dinosaurs and their time on earth. Choose a section to explore from links provided: teachers, parents, or kids. The kids portion contains an excellent FAQ with answers to common questions about dinosaurs. You can select several interactives and activities by age ranges. One great one to try is the Build a Dino activity: choose body parts to create your own dino then receive a progress report and test your dino to see if he can survive! The Teachers area of the site includes units of study for students in grade K-8 (there are webquests designed especially for grades 3-8), links to academic standards reinforced by visits to the dinosaur image gallery, and resources including reading lists. The webquests are also available in Spanish. Have students create their own dino using the Build a Dino activity. Challenge students to draw and describe their dinosaur with an explanation of how and why different body parts were chosen. Use this as a descriptive writing piece. Create a class book of Dinosaur Creations! Choose from the webquests offered on the site for your class. Use webquests not only to learn about dinosaurs but also to sharpen research and debate skills. Extend learning by having students use a tool such as Zeemaps, reviewed here, to record where dinosaur fossils have been found. This site allows students to create audio recordings AND choose a location (on a map) where the story takes place. Find books about bridges and structures in this list of fiction and non-fiction for student independent or group reading. Learn how bridges and other structures are built, the people behind them, and the risks some people take in pioneering new ways of building, using new materials, or thinking outside the building box. You will even find some stories of structures that failed. Some fiction, and some non-fiction, all will inspire young designers and engineers. CurriConnects thematic book lists include ISBN numbers for ordering or searching, interest grade levels, ESL levels and Lexiles''® to match student independent reading levels to challenge, not frustrate. For more on text complexity and Lexiles''®, see this information from the Lexile Framework. Don't miss other CurriConnects themes being added regularly. If your library does not have the books, try interlibrary loan! Make STEM a reading challenge. Share this list with students during your study of physics of structures, design, or basic concepts such as gravity. Have students choose a book they can connect to concepts you are studying in science class or have them choose a book of interest and generate a list of the questions they would like to learn about after reading the book. The non-fiction selections offer possible informational texts to practice Common Core science literacy skills. Read all about efforts to live green and do what is good for our environment. The books on this CurriConnects list tell about people who are DOING something more than complain about the environmental damage caused by poor human behavior. Help your students discover ideas to make a difference and contribute to positive change. This list includes books for all grade levels but is especially complete in elementary and middle grades. CurriConnects thematic book lists include ISBN numbers for ordering or searching, interest grade levels, ESL levels and Lexiles'''''''® to match student independent reading levels to challenge, not frustrate. Don't miss other CurriConnects themes being added regularly. If your library does not have the books, try interlibrary loan! This is a great match during units on the environment, current events, or world issues. As students select and read from this list, they will have many opportunities to interact and find meaning from informational texts. This list is ideal during April for Earth Day or as you study the environment--or even geography and human impact on our planet. BiblioNasium is a READING social platform for learners ages six to twelve. Students, teachers, and parents all have their own login on the site. Students need a parent (or legal guardian) to give permission to use this site. Teachers and parents can set reading goals and rate and recommend books. There are some similarities to Goodreads reviewed here in that this is a reading club where you can read reviews about books, write reviews, and rate books, too. Students will treasure finding new books recommended by others. Reluctant readers will become avid readers because it is easy to find topics of interest. Flash is used only for the introductory video. Use BiblioNasium to manage an independent reading program from reading logs to tailored reading lists. 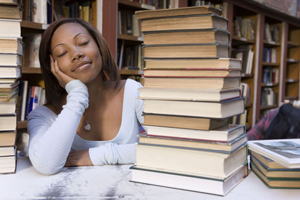 Stack your virtual bookshelves with recommended or required reads: set reading goals, create challenges, and keep track of student reading by using BiblioNasium in your classroom. Your students can easily see what they have read, what they like, and what they plan to read. Be sure to have them evaluate the books they read using BiblioNasium to help others find their next book. Find books by Lexile reading levels with BiblioNasium's Search Field. BiblioNasium is partners with MetaMetrics'''''''''®, developer of the Lexile'''''''''® Framework for Reading. Knowing the reading levels of your students, you can set up leveled small groups for literature circles or nonfiction reading. This CurriConnects list offers books for student independent reading about leaders. This list of leaders includes a wide sampling from politics to literature and the arts to entertainment. CurriConnects thematic book lists include ISBN numbers for ordering or searching, interest grade levels, ESL/ELL levels and Lexiles'® to match student independent reading levels to challenge, not frustrate. Don't miss other CurriConnects themes being added regularly. If your school or public library does not have the books, try an inter-library loan! Use this list as you study any topic that features leaders: the founding fathers, famous scientists, and much more. Encourage students to read about leaders in diverse fields - including the one you are studying - to compare and discuss what makes someone a successful leader and why people rise to the top among their peers across time, place, and circumstance. You could also form an afterschool book club around this list or use the nonfiction listings as practice with informational texts. Use this CurriConnects list to find books about immigrants, immigration, and the American immigrant experience. Include this list while studying Ellis Island, periods of immigration, or multiculturalism in the U.S. CurriConnects thematic book lists include ISBN numbers for ordering or searching, interest grade levels, ESL levels and Lexiles'® to match with student independent reading levels to challenge, not frustrate. Don't miss other CurriConnects themes being added regularly. Allow students to select books at their own level to understand immigrants and how their own ancestors may have felt upon arriving in the U.S. Perhaps have them write a blog post as if they had just arrived. Have students meet in literature circles as they discuss these books or hold an immigration day where students share the experiences they have read and how immigrants contribute to the many cultures in the U.S.